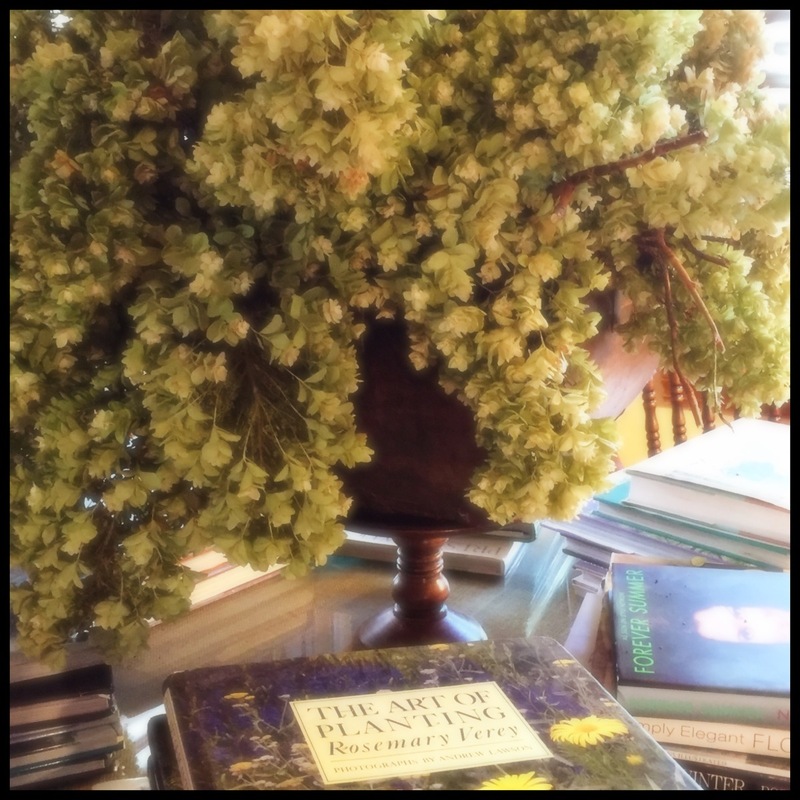 Oak leaf Hydrangea Bouquet adorns library book table. It is positioned to be a focal point on the table and in the room...holding center stage. It is surrounded by some of my favorite gardening books. Looking from the direction of the dining room, the bouquet holds its own with the other room elements. Good reading lights are essential when you have this much to read! I arranged the huge blooms in a massive wooden trug (and one of the most favorite gifts I I've ever received...thank you, Suza) that was perfect in scale and earthiness to suit the flowers. To give it even greater stature, and to make book selection easy without disturbing the blossoms, I placed the trug on a like-colored wood cake plate in the center of the table. It wouldn't be a room of Linda Vater's without a topiary somewhere. Oh, I also adore monograms. 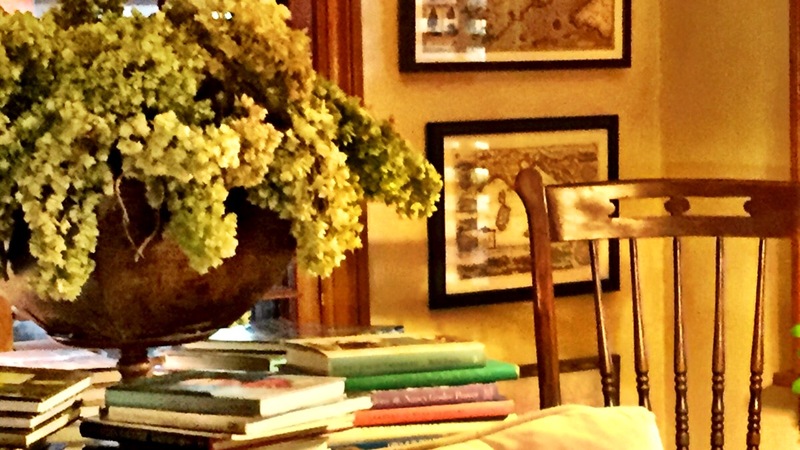 My essentials: books, flowers, comfortable chairs, a fire....and one of my men keeping me company. grand arrangement. And I hope you enjoyed a peak into my living room. Please do let me know if you did and if you have any interest in seeing more...AND if you might guess where the Christmas tree goes. Stay cool and hydrate everyone. And if you are reading this from a cooler, more comfortable clime, I tell you this: plbbbsttt! ... and send some of it this way!